Anovos Productions are going to release this Death Trooper helmet replica based on the Death Troopers to be seen in the upcoming ROGUE ONE: A STAR WARS STORY. 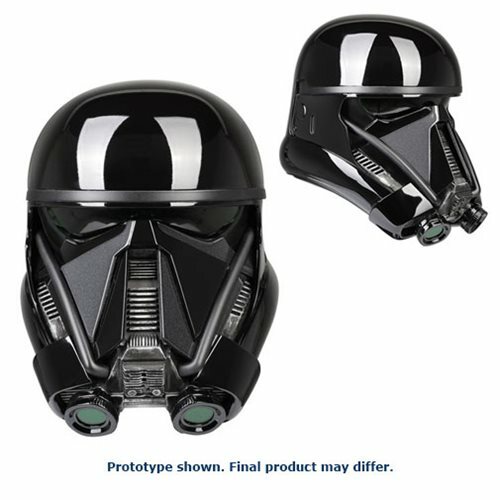 Death Troopers are soldiers encased in specialized stormtrooper armor with a dark, ominous gleam. They serve as bodyguards and enforcers for Director Krennic, a highly placed officer within the Advanced Weapons Research division of the Empire. Anovos produce high quality screen-accurate uniforms and prop replicas, so this is sure to be a great replica. The helmet interior is fully lined for a finished appearance. Features a size adjustment system that ensures a comfortable and secure fit. You can pre-order now at both Entertainment Earth and Amazon. Prices vary. This is limited edition 1:1 scale prop replica of the Chestburster as featured in Ridley Scott’s 1979 horror classic Alien . MageeFX is the FX production company of FX artist Patrick Magee (An American Werewolf in London, Aliens, Predator). MageeFX confirm availability is limited – this replica won’t be available for very long and nor will it remain at the introductory price of $900. This is one for serious collectors. 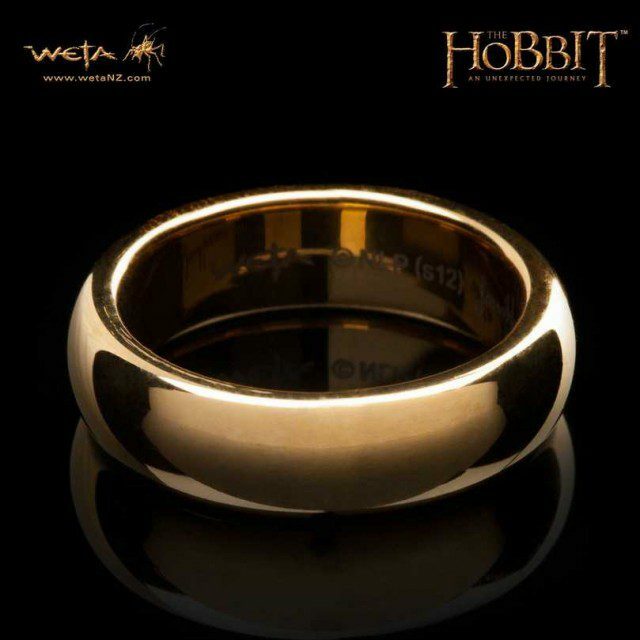 This is Weta’s officially licensed replica of Frodo’s ‘The One Ring’ from director Peter Jackson’s The Hobbit: An Unexpected Journey. With The Hobbit: An Unexpected Journey logo on the outside and the logos of Weta and Jens Hansen on the inside. The inside bottom of the box is lined with burgundy velvet. Exact replica of the 25 inch (65 cm) chain Frodo used to carry The One Ring around his neck. Designed and manufactured by Jens Hansen – Gold & Silversmith of Nelson, New Zealand, the makers and designers of the original movie prop for The Lord of the Rings. Features the authentic and much sought-after S-shaped link seen in the close-up shots in the movies, an ancient clasp design that allows you to lock the chain at any length you desire. 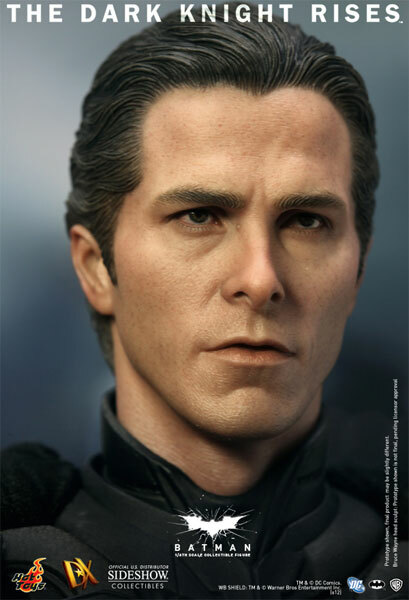 This is the Hot Toys produced movie accurate sixth scale figure of Batman (with interchangeable Bruce Wayne head) based on Christian Bale’s character as featured in Christopher Nolan’s The Dark Knight Rises. 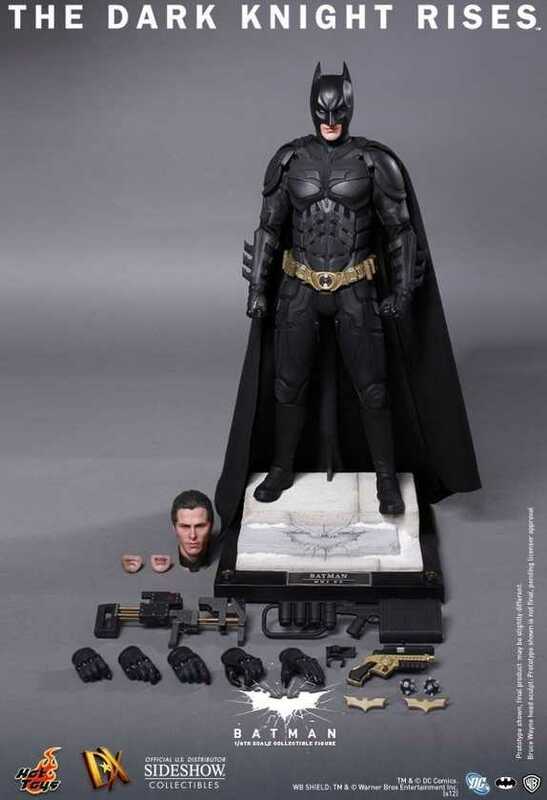 This is a limited edition item that has since sold out via Sideshow. 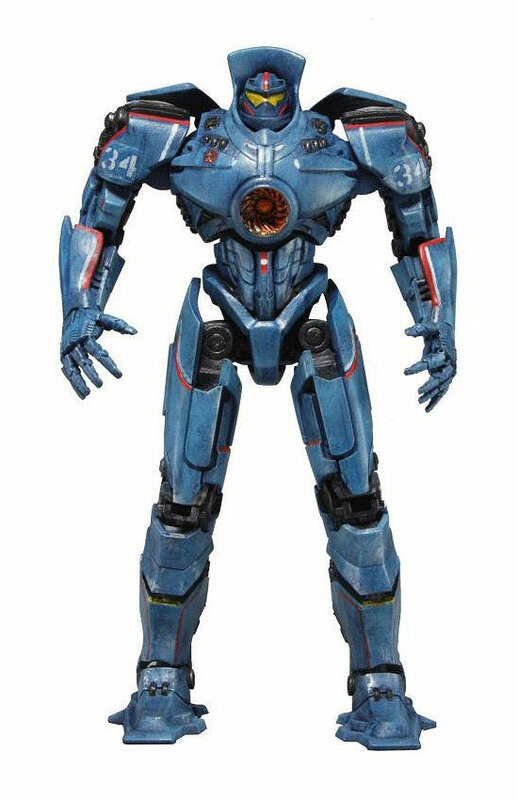 NECAs 18″ action figure of Gipsy Danger – the main hero Jaeger – from Guillermo del Toro’s Pacific Rim is now available for pre-order in time for its September 2013 release.